Looking for the most advanced Soft Skills Training in Ludhiana? IS INTELLECTUAL & CREATIVE BRAIN ENOUGH FOR SUCCESS? We feel there is no use of such creativity which can be shared. That’s why it is very important for a good creator to be a top notched soft skills communicator having advanced English skills. Being humans, seniors advice children and youth to primarily focus on improving their domain , technical & intellectual skills. Around 80% of time, money and energy are spent on improving these skills by an average Indian student. Now the question arises, “is it worth to keep spending time on Domain/Technical Skills?” According to drastic social, economic and cultural changes witnessed with the passage of time, the answer is ‘NO’. It would be very productive if you were living in 1960s. Since we are living in 21st century and present era is demanding ‘Soft Skills’ more than Domain or Technical Skills, we should divide our time into more significant and practical way. This could be achieved by shifting your focus on developing soft skills rather than domain skills. You may have brilliant thoughts and ideas, but if you can’t get them around with the way you communicate , they will take you nowhere! According to a survey conducted by Stanford University, only 12.5% of domain skills as compared to 87.5% of soft skills are required for excelling towards success. 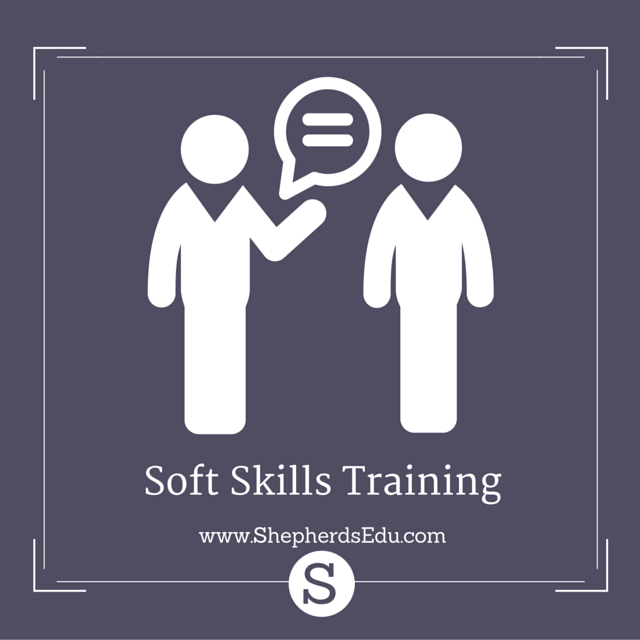 A very large part of soft skills is assigned to business communication skills. Soft skills training in really essential for people living in Ludhiana – it will help to generate a boom in their businesses, careers and/or professions. As you read earlier, majority of Indian students are lacking in their communication skills generating an urgent need for embedding communication skills in our population and our staff at Shepherds Institute is doing an excellent job. People rate our institute to be one of the finest amongst all the institutes in India and not only in Ludhiana – because of our unique way of training .We not only focus on developing soft skills but transform overall personality. After attending our any of our courses, improvement could be felt in almost every sphere of one’s personality and the beauty of our training academy is that we are having a course for almost all the people engaged in different kinds of professions and businesses. Some of our trainees and various corporate associates and institutions feel that our Corporate Training Programs like Train the Trainer Program could empower large portion of schools in Ludhiana and could create completely new kind of education system because existing schooling system in India is very old and outdated. This would not only fulfill the demands of the current time but PUSH the human race forward to a whole new level of Learning and Experience with highly developed skills.